Another link worthy of sharing! 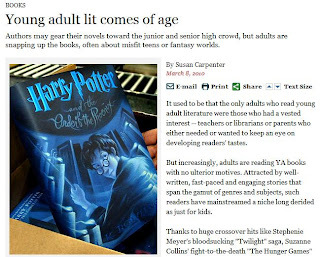 Check out yesterday's LA Times article on the adult appeal of today's YA. We're taking over the world! * I discovered this via my lovely Publishers Marketplace daily email. Signing up is free!